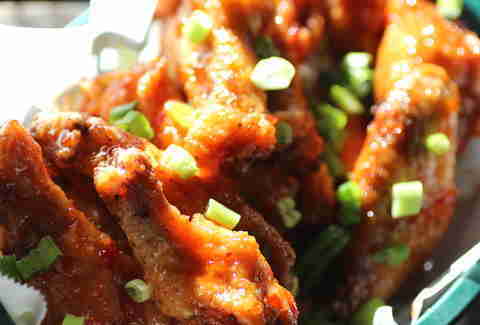 If your favorite place for wings in the Twin Cities is famous for altering the outcome of live sporting events just so people don't have to leave, then you have no business reading this we can't blame you -- a good wing is hard to find. But don't fret, we've found eight epic spots for them, from a University Ave dive to a Maplewood strip mall. The next time someone asks you for a great wing place in the Twin Cities, you'll have the answer. 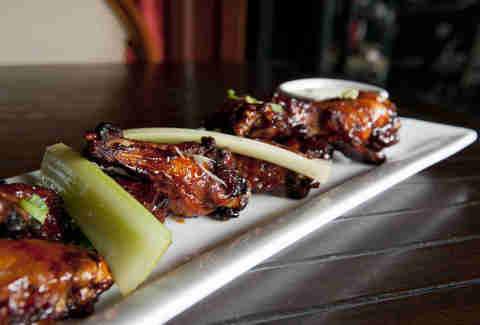 Darin Koch's Maplewood insta-classic and its nearly 500 varietals of perfectly cooked wings eschew the traditional hot, hotter, hottest schema in favor of letting creative flavor profiles shine. Flavors like The Canadian, which's akin to eating a waffle with bourbon, brown sugar, maple syrup, and sea salt. They redefine what an itty-bitty piece of chicken can be. 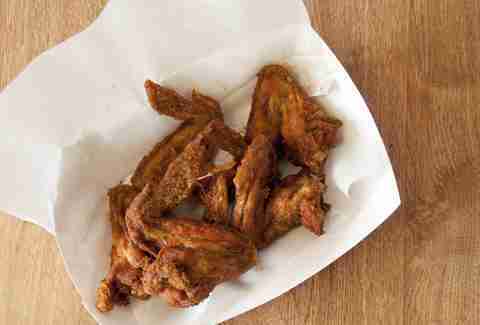 Don't let that fancy name and eponymous oyster bar fool you: these cats make a mighty-mean wing. Instead of flash-frying, they cook theirs in fat and then smoke them for flavor. So tender are these wings, you could eat them without teeth, and given their proximity to the X, this works out nicely for members of the Wild. Although you'd think something called "Monte Carlo Wings" would be crusted in diamonds, poker chips, and the fumes of an Aston Martin, it only means the downtown Mpls dining institution serves 'em Beijing-style: mini pieces of crispy fried chicken battered in an 18-spice blend that includes everything from cinnamon to celery salt. Heading up the list of totally radical places that everyone forgets exist, Ginger Hop in Northeast is known for noodle dishes and a sly beer list, but people sleep on their Hop Wings, a deep-fried treat slathered in hot sauce made from Summit EPA (or sometimes Lagunitas) and classically sided by blue cheese and celery. Art Song's on University in St. Paul is as modest-looking as it is damn tasty. 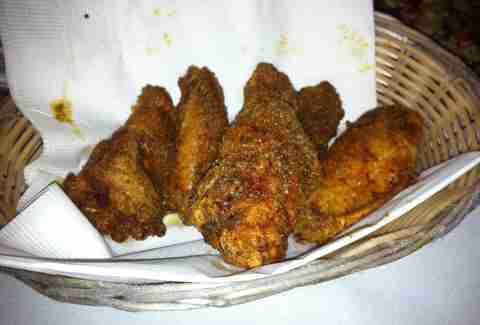 The spice-rubbed wings are copious and delicious in their own right, but Hickory Hut, an offshoot of the fabled and long-closed Song's, offers nine-plus sauces served on the side. 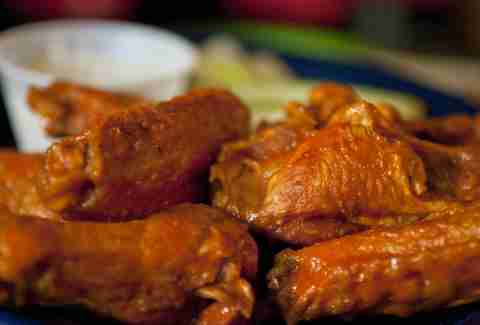 And while they range from classics like Buffalo to BBQ, the surprisingly spicy hot vinegar sauce will MELT YOUR FACE. 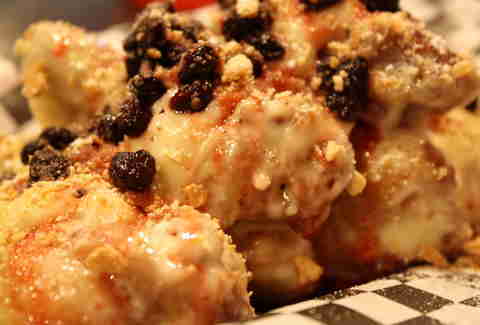 While these cats might be known for their ability to get down with a mound of ground chuck, they've slyly created some of the best wings in town, too. They're served by the 1.5lb (for only $8.50) and with a scratch sauce-arsenal that ranges from jerk to sweet chili lime, but the one that really puts 'em on the map is the spicy peanut butter sauce called Frogtown. Next time you're at Northeast Mpls's Mayslack's, put down that ungodly delicious roast beef sammie long enough to order (and devour) the Mayslack's Wings. The perfect mix of crispy and juicy, they can be had either dry-rubbed (our fave), or pan-fried in curry, Jamaican jerk, jalapeño Buffalo, or one of five other sauces. 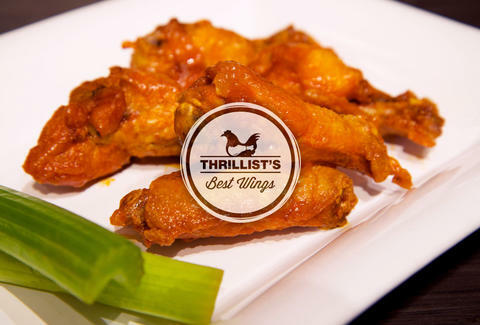 It would've been truly tragic to cobble a best wings list without at least one stop on Eat St. Look no further than these purveyors of playful Asian cuisine. 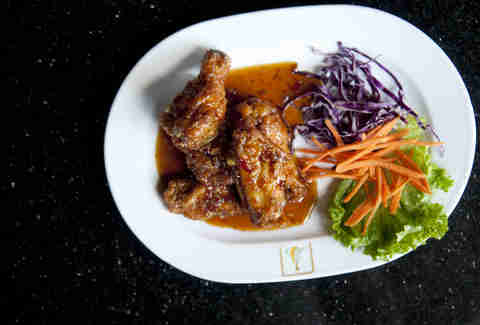 Buried deep within the confines of their "Crispy" menu, their super-crisp Spicy Chicken Wings are indeed that, as they're tossed in a sweet and salty fish sauce that pullls the classic sweet/savory switcheroo on your tastebuds mid-bite.